Walkers are spoilt for choice on Bere Island, with routes of varying difficulty appealing to all. Possibilities include slow rambles along by-ways as well as jaunts over more rugged terrain. 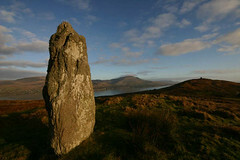 Walks begin at both ferry points, of Rerrin village (East End) and Oileán na gCaorach (West end). See the Getting There section for more details. Bere Island’s walkways are incorporated in the larger Beara Way, which extends over the whole of the Beara peninsula, with over 220 kilometres of trails. 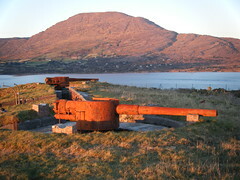 However, Bere island hosts some of the Beara Way’s highlights, with sites of rich military heritage of various eras, as well as spectacular breathtaking scenery of the mainland’s Slieve Miskish and Caha Mountains, unique to Bere’s offshore position. Below is information on the individual walks on Bere Island. Most walks are looped allowing the walker to see new sights constantly. 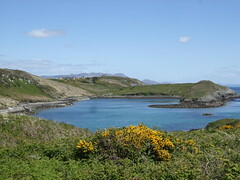 For location of specific walks, see the Bere Island Map on this website. For more detailed information on walks, you can purchase The Bere Island Experience booklet through this website. Level of difficulty: Varied, with easy ambles along country roads to hills which are more suited to the experienced walker. Opportunities exist to shorten the walk dramatically. Sights: Stretches from East to West of the Island, taking in many of the Island’s sights. Terrain: Varied, including some difficult rugged sections. Sights: The track heads west and then south on an old military track. 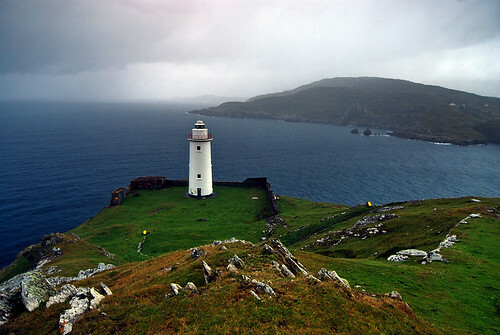 Ardnakinna lighthouse is in itself a must-see on Bere. There was originally a beacon built here in 1850, with the present lighthouse lit in 1965. The rugged track to the lighthouse along the coastline provides stunning views back onto the mainland, whilst the area around the lighthouse provides a perfect picnic spot with views of Sheep’s Head, the Mizen, and west to Dursey Island. 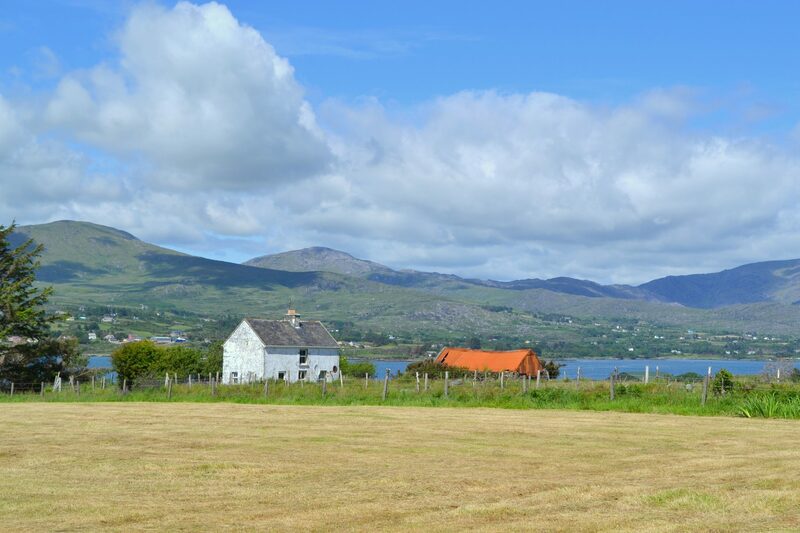 Sights: This takes in beautiful views to the south of Sheep’s head and the Mizen peninsula. Sights: This route encompasses several sites of historical importance, including the British fortification at Lonehort. It also takes in views of Martello towers, Ardaragh Wedge tomb, and a Viking shipyard. This is essential viewing for the military enthusiasts. Starting point: Lonehort Battery, in the eastern end of the island. This walks adjoins the Rerrin Loop. Sights: Walk around the notorious site of a British Battery, taking in the massive trench, the two 6 inch barrelled guns and many other structures. 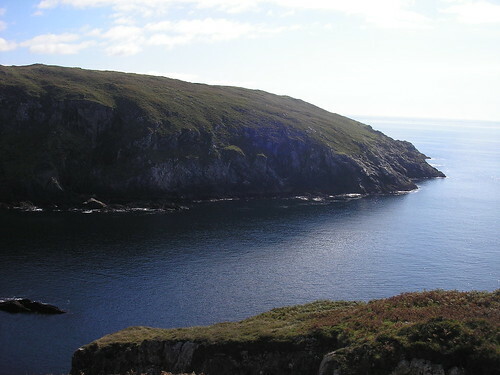 Click here for a map of Bere Island.